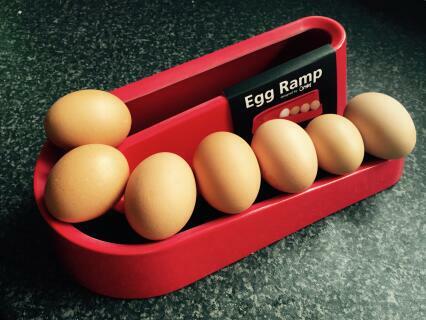 Bring your kitchen to life with the Egg Ramp™, a stylish new way to store eggs and keep them in date order. 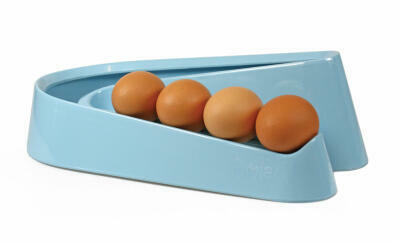 This melamine egg storer stacks up to 12 eggs and takes up minimal space on the kitchen surface. 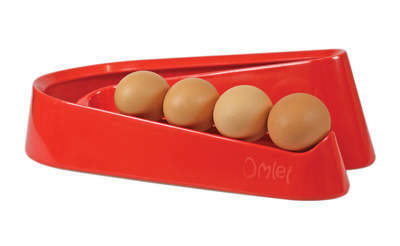 Available in four great colours, this modern egg holder will keep your eggs organised and at room temperature so they are always on hand for baking. 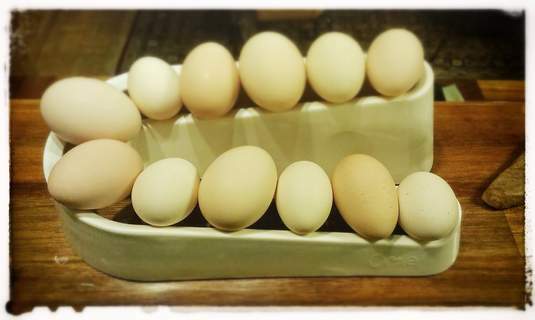 The Egg Ramp™ looks great in my kitchen and takes the guesswork out of which eggs I should use next. 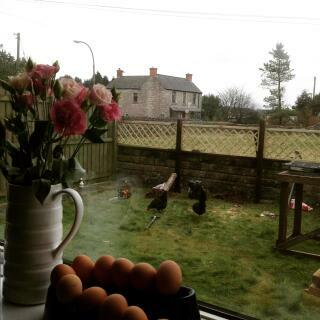 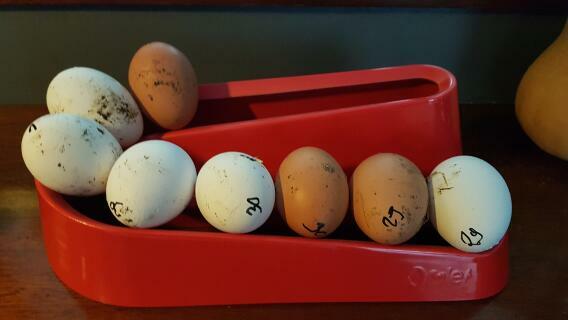 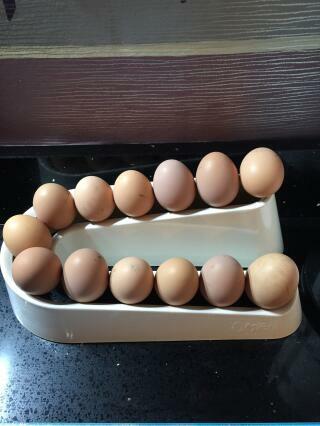 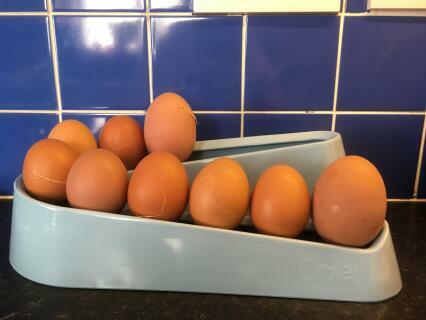 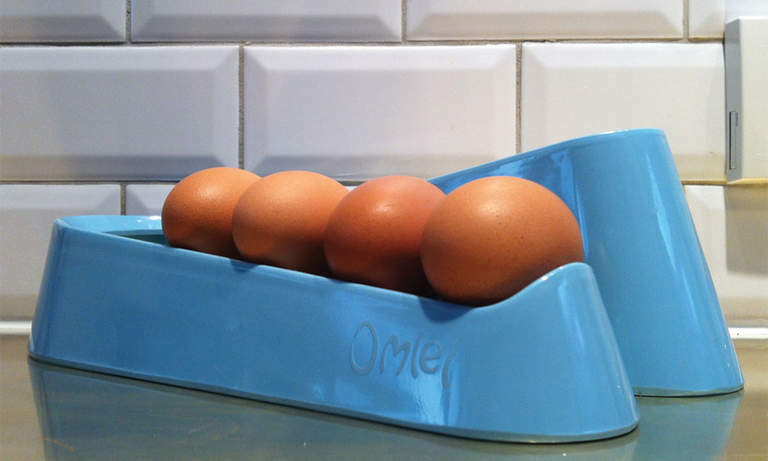 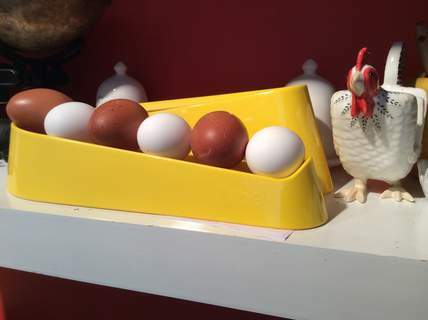 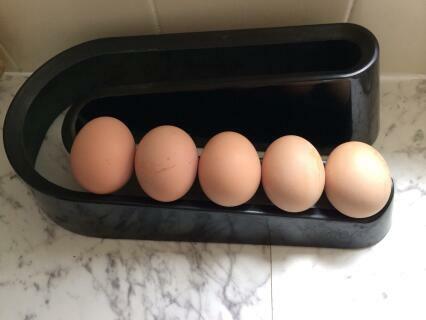 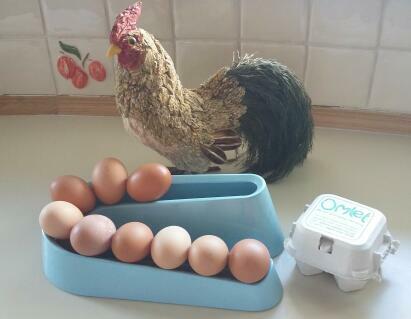 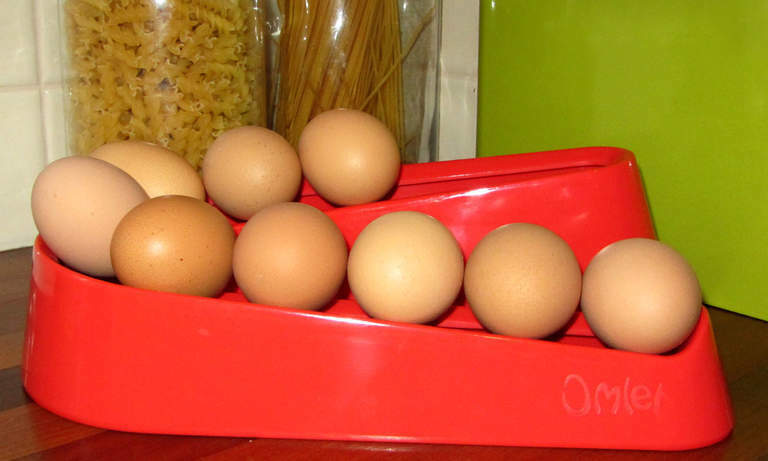 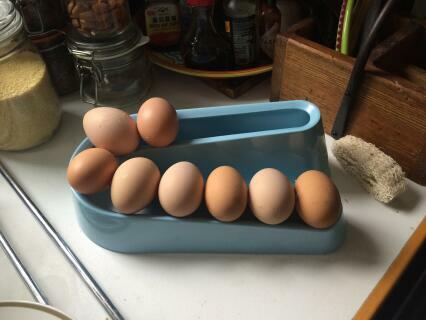 Every time your hens lay a lovely egg, simply add it to the shiny melamine Egg Ramp™. 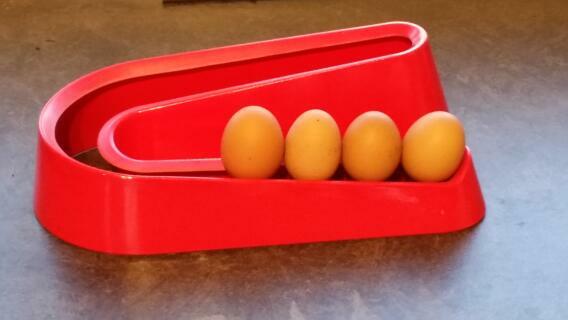 When it comes to using them, always use the one at the front first, which will be the oldest - no more guesswork. 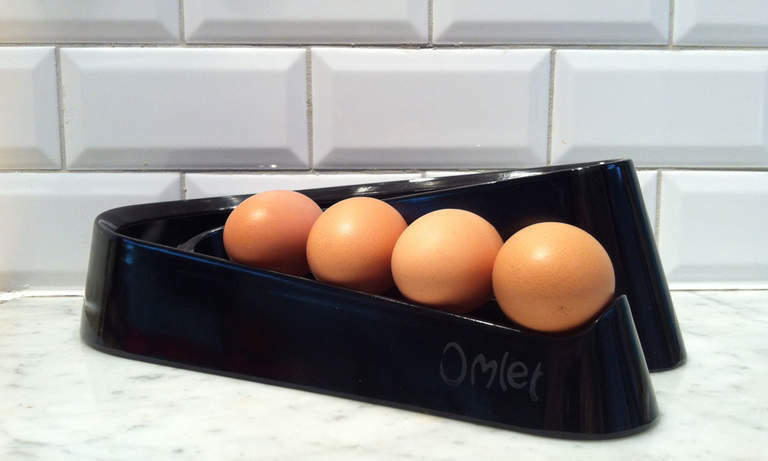 At only 15cm deep it looks sleek and it won't take up much space on your worktop. 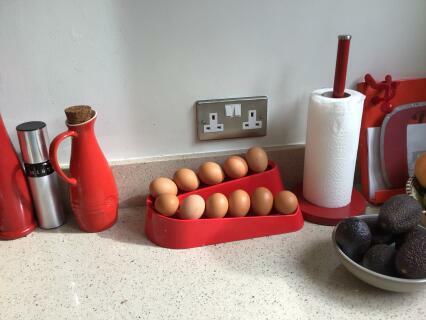 There are four colours to choose from so you can be sure to find one that will suit your kitchen, and your personality, perfectly! 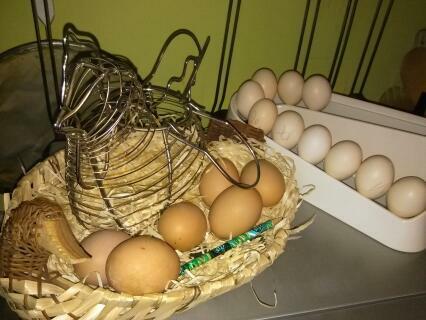 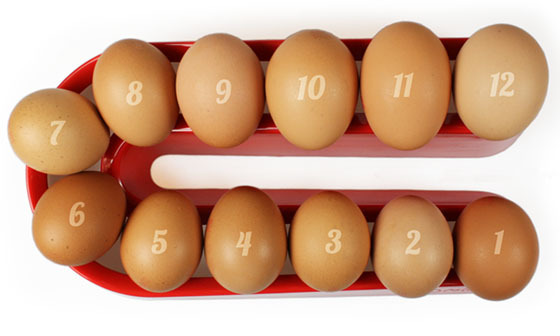 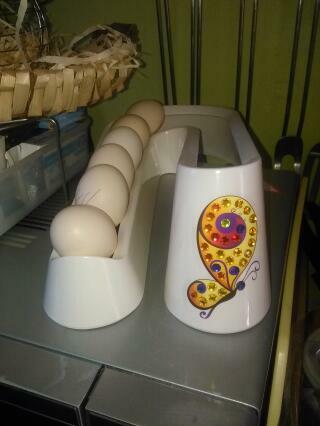 Holds 12 Chicken Eggs or Lots of Bantam Eggs! 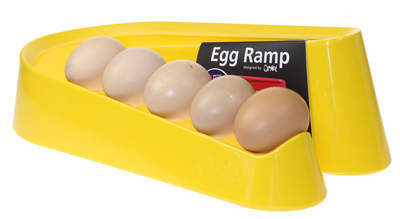 The Egg Ramp™ can hold up to 12 medium chicken eggs. 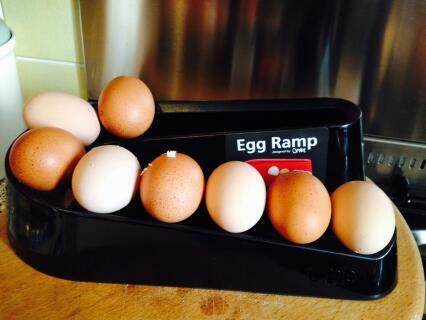 If your hens eggs are a bit bigger or smaller it doesn't matter, the Egg Ramp™ can handle them! 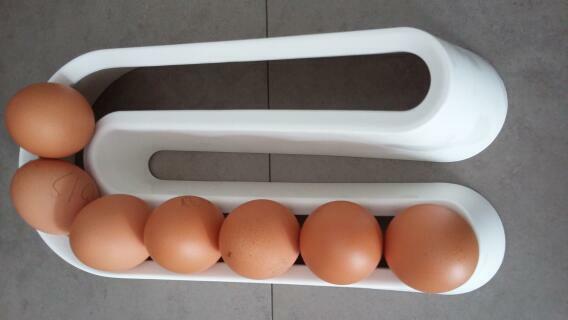 The gap between the sides is 3cm, so unless your eggs are the size of Maltesers they won't fall through, making the Egg Ramp™ ideal for bantam eggs as well! 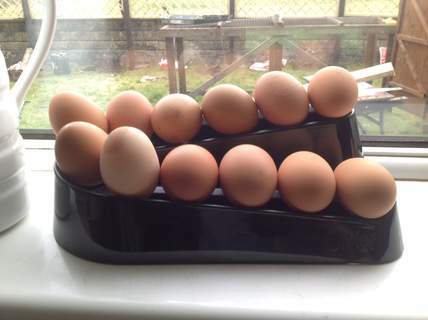 You will of course be able to store lots more than 12 of them...pretty hendy if you have a whole flock in your garden! 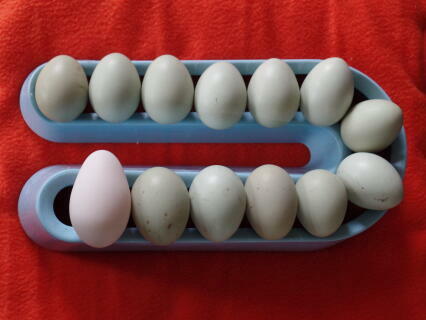 So, the question is...which colour will you choose? 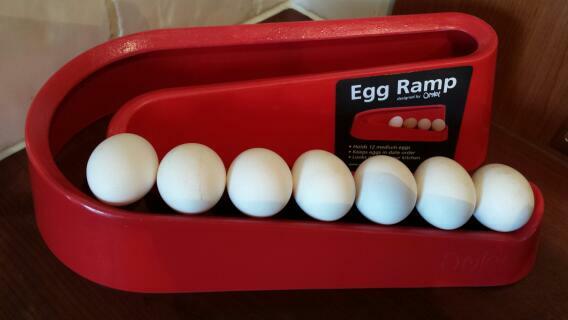 I love this handy egg storage rack. 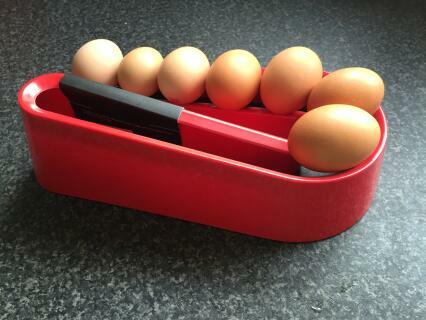 It is unusual and fun with style and is an excellent shape so doesn’t take up much space on the worktop. 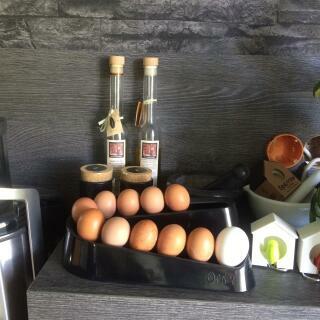 Fantastic idea and looks really stylish in our kitchen. 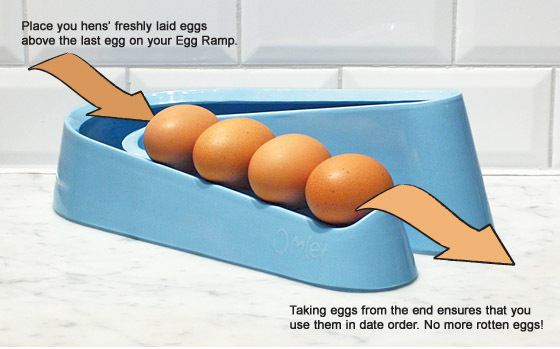 This egg ramp is such a good idea. 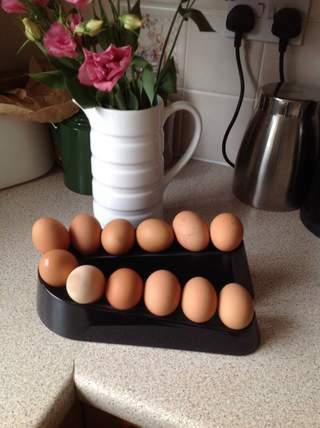 It enables you to use your girls eggs in order. 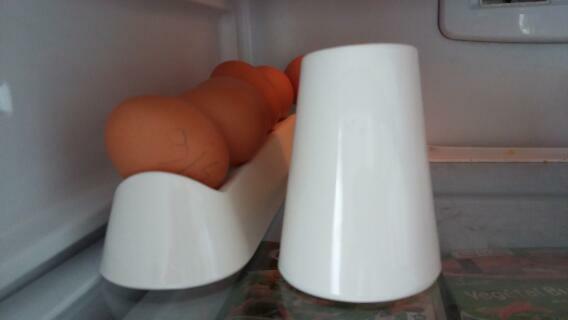 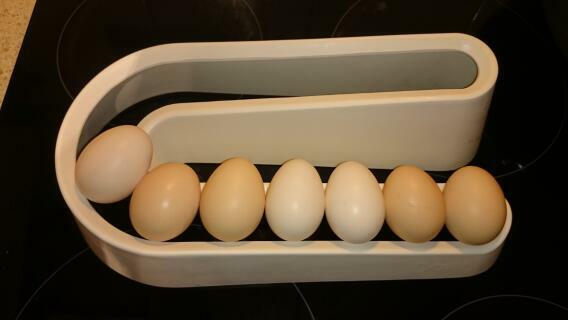 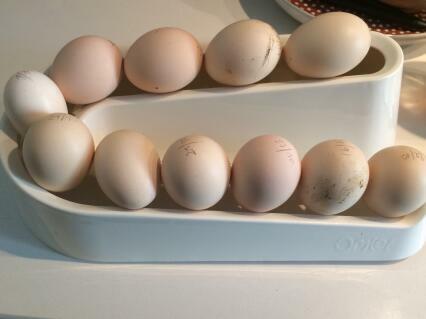 Just have to be a little bit careful when removing the eggs at the bottom as the others roll down.